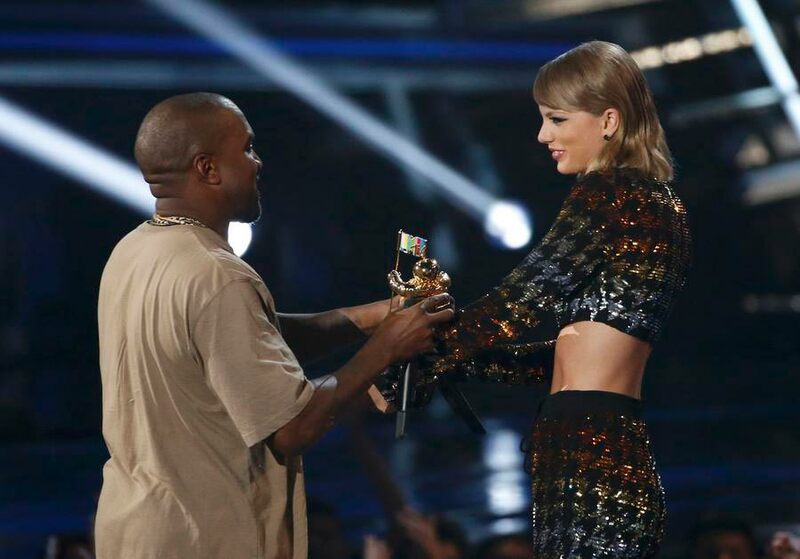 Taylor Swift may have won the most Moonmans on Sunday but it was her reunion with rapper Kanye West on the MTV Video Music Awards stage that stole the show, as West declared he will run for the US presidency in 2020. West, who famously stormed the stage and snatched the microphone from Swift in 2009 during her acceptance speech, was given the Michael Jackson Video Vanguard award on Sunday by Swift, in a VMA moment that came full circle. "Everyone in the world knew about our infamous encounter at the VMAs, but something you may not know is Kanye West's album 'College Dropout' is the very first album I bought on iTunes," Swift said.